Hi guys can anyone recommend a really good mobile phone holder especially one that will protect my Samsung from vibrations. Have my phone paired to the Zumo 660 & the Sena headset so I can hear directions play music and take calls if I want to, not something I do often but useful when I'm on very long European journeys. Everything works fine as it is except to play music I need to control it through the phone which is obviously too dangerous when buried in my tank bag hooked up to a usb charger. Calls are simple as they come up on the screen of the Zumo as does the phone book. Looked at the options to convert the music to MP3 and store on the Zumo but its a real ball ache and thinking a bar mount might be a better way to go especially as I have CoPilot and Best biking Roads downloaded to my phone. The RAM mount system with the X Grip and Thether is the best one I've found. I've used it on 3 biles with no issues. Brilliant thanks thats the one I've been considering. Can I just ask have you got it fitted to the XR and if so is it direct on the bars. Yes. I have it mounted directly to the bar, on the left next to the mirror. I plug one of these into the BMW Can-Bus Hella power port in the left fairing insert to supply power to the phone. Just picked one of these up last week. Beautifully made and works perfectly. Phone is held by facing magnets and a twist mount. Here is a link. 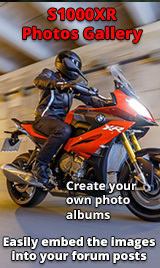 www.rokform.com/pages/motorcycle-mounts. I also tried RAM's GDS mount. That didn't work at all. There is something internal that reduces the charging current to the point that it can't keep up with Pandora. I'm trying to return it now. Cripes, they want $150 for that thing ? I mean it's nice and all but 3x's the price of the RAM mount. I used the RAM X-grip on my Super Tenere for my IP7+ quite extensively with no issues and I don't have to put that bulky case on there. Otherwise it looks pretty elegant. Eventually went with a Ram mount and X grip works perfect very happy. Samsung S5 in a full leather case and the X grip still holds it tight.